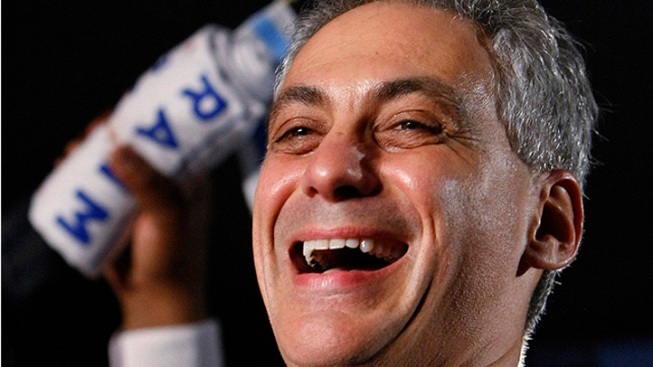 Details are slowly surfacing about Mayor-elect Rahm Emanuel's hush-hush inauguration plans. Though outgoing Mayor Richard M. Daley was first sworn in the City Council chamber at City Hall, rumors have circulated about details surrounding Emanuel's possibly more public May 16 inauguration. Will it be at Navy Pier? At Grant Park? The Chicago News Cooperative on Tuesday got a hold of the invitation Emanuel's inauguration committee sent out this week. The swearing-in location remains unknown -- and Emanuel spokeswoman Tarrah Cooper declined comment to CNC -- but the invitation makes mention of a Grant Park concert, an evening reception at Venue 1 on the near West Side and an evening dinner on May 14. The invitations include four categories of contributors linked to the festivities, the CNC reports. For a $50,000 donation to Emanuel's inauguration committee, contributors will get "co-chair" status and four tickets to the concert, reception, dinner and inauguration. Those who contribute $25,000 get four tickets to the concert, the inauguration and the Venue 1 reception, as well as two tickets to the dinner. Those who give $10,000 get two concert tickets, four tickets to the Venue 1 event and two VIP tickets to the inauguration. For $5,000, you'll get two tickets to the concert and the reception, plus two “reserved” tickets to the inauguration. A message on the invitation notes that committee will not accept cash contributions exceeding $50,000 per donor and will not take donations from City Hall lobbyists or anybody who has “done over $10,000 of business within any 12 consecutive months during the preceding four years” with the city.